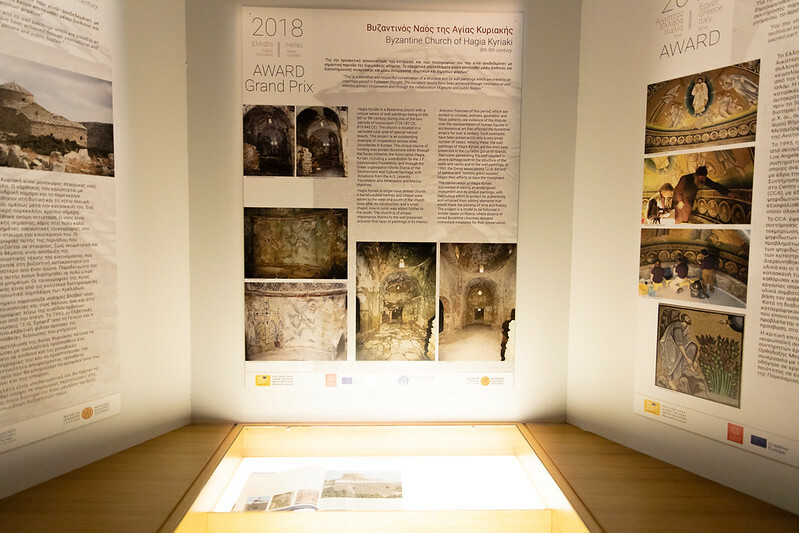 As a contribution to the European Year of Cultural Heritage 2018, the Thessaloniki Branch of ELLINIKI ETAIRIA – Hellenic Society for the Environment and Cultural Heritage organised a photo exhibition on Byzantine and Post-Byzantine Monuments which received the European Union Prize for Cultural Heritage / Europa Nostra Awards between 1978 and 2018. The Awards were given to the monuments for the high quality of their conservation, restoration and enhancement. The exhibition opened on 29 November at the Museum of Byzantine Culture in Thessaloniki and was held on the occasion of the 4th International Conference ‘Byzantine Monuments and World Heritage’, organised by the European Center for Byzantine and Post-Byzantine Monuments in Thessaloniki from 30 November to 2 December. 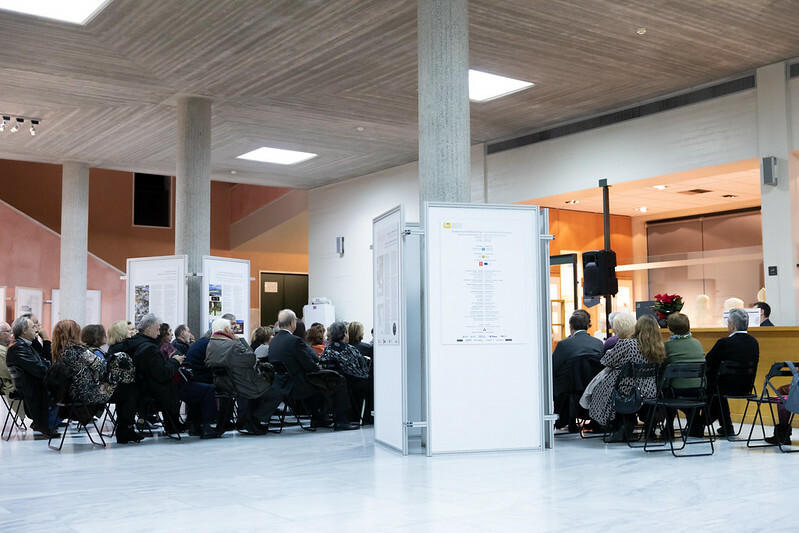 Representatives from Europa Nostra, ELLINIKI ETAIRIA, the Ministry of Culture, Aristotle’s University of Thessaloniki, citizens, friends and members of the Thessaloniki Branch of ELLINIKI ETAIRIA participated to the opening of the exhibition. Among them, the Director of the Department for Europe and North America of the World Heritage Centre of UNESCO, Mrs. Isabelle Anatol-Gabriel, the Director of the European Centre for Byzantine and Post Byzantine Monuments, Dr. Anastasia Tourta, and the Deputy Mayor of the Municipality of Thessaloniki, Mr. Athanassios Pappas. Guests were welcomed by Dr. Agathoniki Tsilipakou, Director of the Museum for Byzantine Culture and the members of the organising committee of the exhibition, namely Dr. Ioanna Steriotou, who has for many years been Vice-President of the Scientific Council of Europa Nostra, Mrs. Kleopatra Theologidou, President of the Thessaloniki Branch of ELLINIKI ETAIRIA, and Maria Kampouri-Vamvoukou, Professor Emeritus at the Aristotle University of Thessaloniki. 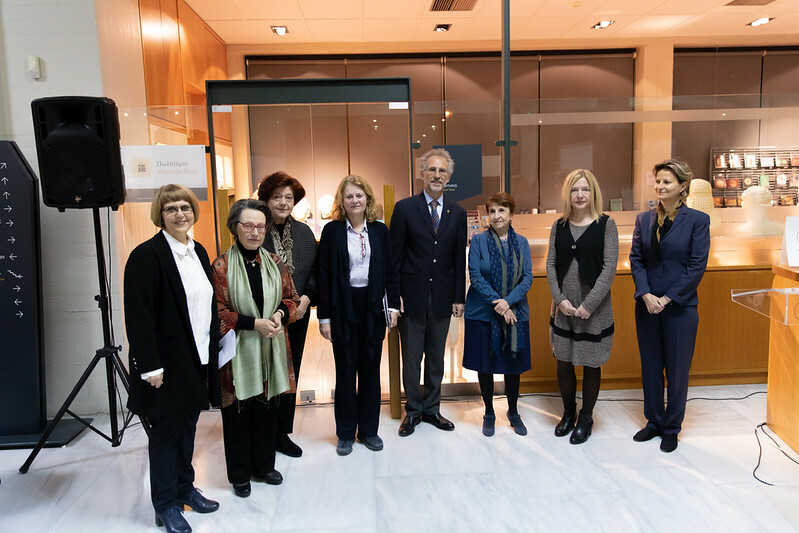 The exhibition was opened by Prof. Paolo Vitti, Board Member of Europa Nostra, and Mrs. Alexandra Mamaliga – Prokopiou, Member of Europa Nostra’s President’s Circle. “The exhibition is meaningful for two reasons. The first is its transnational character, with buildings located in 13 countries in Europe and the greater Eastern Mediterranean region, a bold testimony of the way cultural heritage creates cultural links between different countries. The second reason is that it gives an excellent understanding of how best practices can be achieved, if energy and knowledge are positively invested,” stated Prof. Vitti at the opening of the exhibition. The exhibition includes 22 monuments and offers a journey through the history of Byzantine Art and Architecture. The importance of Byzantine culture to Europe’s history is underscored throughout. The exhibition also offers an understanding of the multidimensional nature of the protection and restoration of architectural heritage. The different problems facing the monuments and the ways in which they were solved at a technical, theoretical or ideological level can be seen at the exhibition. Their contribution to the conservation and enhancement of local economies, the ways in which they encouraged the involvement of citizens, synergies and collaborations are likewise some of the best practices applied and awarded and are highlighted by the exhibition. The exhibition continues until 16 December 2018. It was co-organised with the Museum of Byzantine Culture under the auspices of Europa Nostra. A great many delegates from the Conference and members from the scientific community visited the exhibition and guided tours were facilitated. The exhibition will travel to Athens and to various cities in Greece. The catalogue of the exhibition can be downloaded here.